The global production of steel dropped in 2015 compared to 2014, to a larger extent outside China, as China exported its surplus of steel to destinations across the globe; it is too complex to single out whether this is positive or negative for the seaborne dry bulk transport demand. Going forward, the Chinese steel industry is set to grow its global market share, currently at 50%. Depending on domestic steel consumption in China, use of domestically mined iron ore and profitability in the steel industry, the dry bulk market will be impacted. Chinese steel prices have risen since mid-December and currently, sit at the highest level since October 2015. International iron ore prices could slide further during 2016 as supply exceeds demand. Since August 2015, dry bulk freight rates have continuously been eroded by deteriorating market conditions. 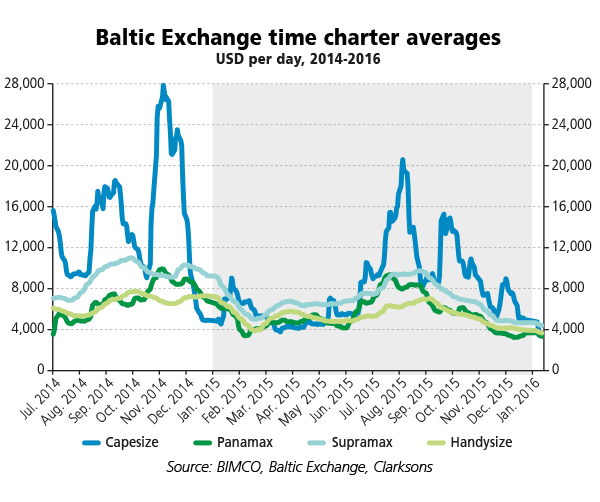 As of 11 January 2016, daily freight rates ranged from USD 3,361 per day for a panamax ship to USD 4,416 per day for a supramax. The brief lift in capesize rates at the end of November may be explained by the record-high import of relatively cheap iron ore into China. 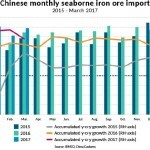 More shipments from Brazil contributed to this lift, squeezing out more domestically produced ore. No less than 96.3 million tons of iron ore were discharged in China in December 2015. This brought the full year total up to 952.7 million tons, 2.2% more than in 2014. Whereas total transported volumes in 2015 are estimated to have stayed unchanged from 2014, some commodities set new records, while others dropped in significant volume. 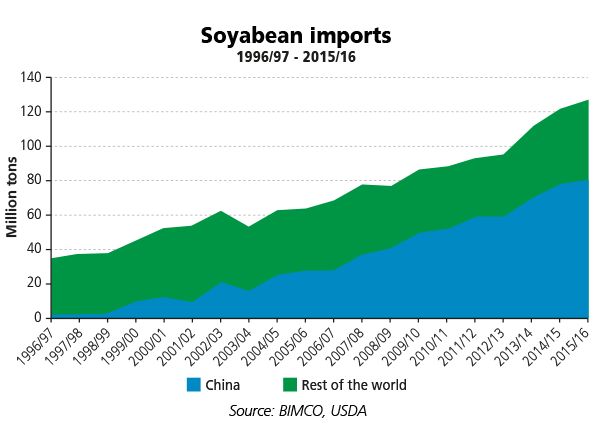 One of the highlights was soybeans, which also saw a new record high of imports into China in 2015. While soybean import into any other country hasn’t grown for two decades, Chinese imports went from barely anything to 81.7 million tons. China took 9.1 million in December alone, primarily for animal feed. 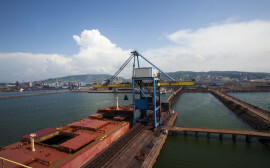 Despite these record numbers of imported commodities, dry bulk freight rates remain very low. 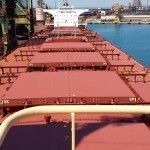 This demonstrates the serious problem of the current market conditions for dry bulk shipping. The prices offered to owners who wanted to sell their ship for demolition in the past year were very disappointing. All of the shipbreaking nations have been offered cheap new Chinese steel and accepted the offers. This floored the prices for scrap steel in nations that used to rely on it for around 80% of their steel demand. 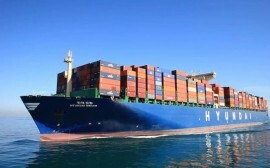 Nevertheless, the freight market remains the most significant factor behind the decision to scrap a ship or continue trading. During 2016, BIMCO forecasts that dry bulk shipping capacity of 40 million DWT will be sold for demolition, making 2016 the busiest year on record for shipbreaking. Despite devastating market conditions in 2015, “only” 30 million DWT were demolished. 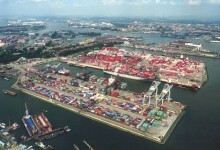 Considering the factors mentioned above, this illustrates that the pool of ready-to-break ships is not vast, but even a modest improvement in the freight rates causes demolition to halt. 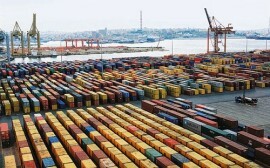 Limiting the inflow of new capacity into the market going forward also requires a low level of new orders to be placed. 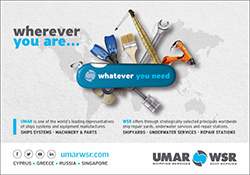 In that sense, 1.4 million DWT of new capacity ordered during Q4-2015 is just what is needed. 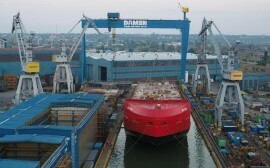 For 2015 as a whole, 17.7 million DWT was ordered. The lowest amount since 2001. 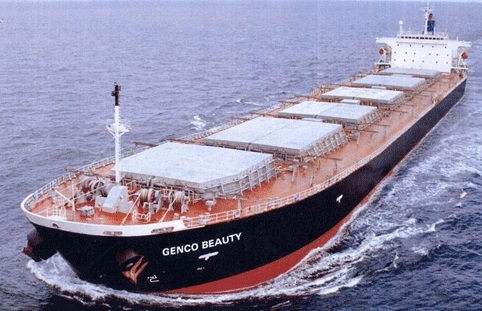 Hopefully, 2016 will see even lower dry bulk tonnage being ordered. 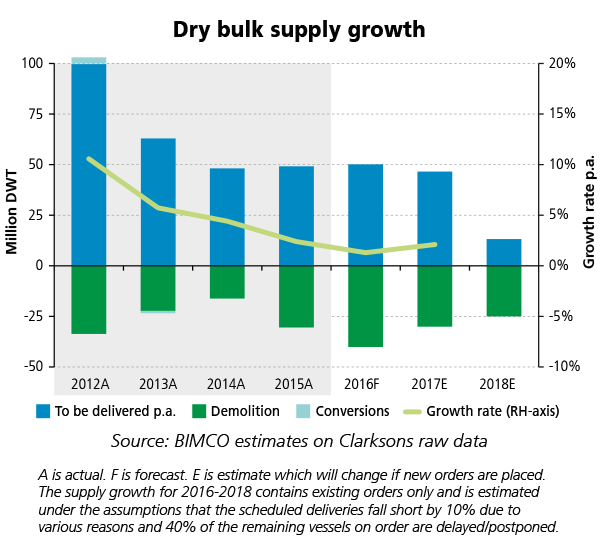 For 2016, BIMCO expects new deliveries of 50 million DWT despite extensive postponements, delays and rescheduling. On record for scheduled deliveries, Clarksons report 92 million DWT for 2016. 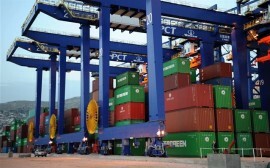 BIMCO assess that 40% of the scheduled deliveries will be delayed by one year. 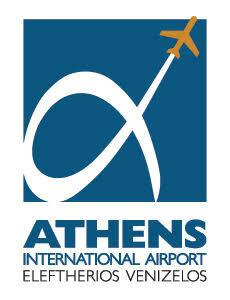 Moreover, the majority of the capacity will be delivered in first half of the year. The distribution of new capacity is likely to remain unchanged from 2015. 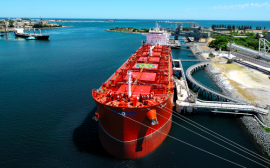 In round numbers that mean: 40% of the new capacity will be delivered into the capesize segment, 20% into panamax, 30 % into handymax and 10% into the handysize segment. 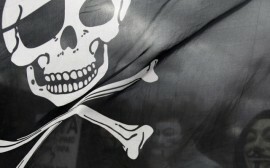 If the CISA (China Iron & Steel Assoc.) forecast for a drop in steel production from 806 million tons to 783 million tons in China becomes reality, less iron ore is needed. 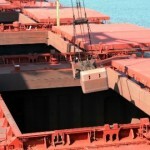 Depending on the required mix of domestic/imported ore, shipping will be affected. 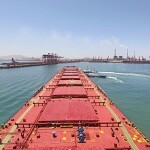 China remains the key driver of the dry bulk market, for better or worse. 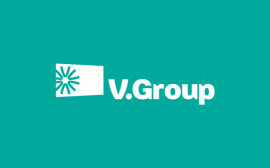 Volumes are still huge but growth rates are likely to be very low and probably negative for some commodities. BIMCO forecasts coal imports into both India and China will go down in 2016, following the trend of 2015.Volume losses into India in 2015 were not originally predicted. This went against a multiyear growth trend over the previous years. But, the domestic coal production rose on the back of some political decisions, which seem to work against dry bulk imports. 2016 is also likely to see a return of India to the iron ore export market – something that will be a positive for seaborne demand if market share is taken from Australian exporters, but a negative if it limits Brazilian Asia-bound exports. 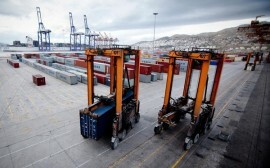 For the coming months: January-April, BIMCO expects transported volumes to diminish as they traditionally do from the fourth quarter to the first. 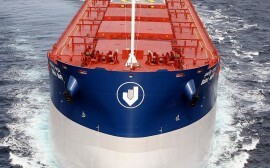 This increases a fundamental imbalance as the delivery of new ships in recent years has followed the opposite pattern. 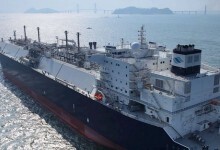 That is more new ships are being delivered early in a new year rather than late in the year just about to end, achieving the newest “year of built” for the record. As we move into the second quarter the downward pressure should ease somewhat. 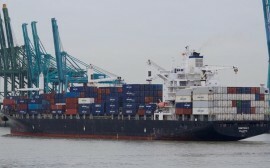 BIMCO remains worried about the sustainability of freight rates in 2016. The demand side seems unable to buoy profits as both Chinese and Indian growth cools off and the rest of the world is still importing smaller volumes than before the financial crisis of 2008. A new record of shipbreaking volumes in 2016 could limit fleet growth to just 10 million DWT, so in fact “all we need” is an increase in transported volumes to around 60 million tons to balance out the inflow. 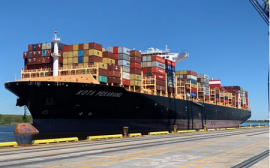 As little as this may seem, growing from a base of 4,700 million tons – it can prove to be a high bar to jump before we start eating into the significant oversupply of ships.